It is wonderful to see people smile, gain confident in themselves, and enjoy life again! 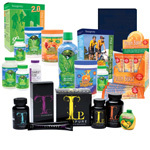 Along with the physical and financial growth, the personal growth we see in people are the real treasures of our Youngevity business. Sorry, but you can not use your site. in your URL name. Your website username may contain only alpha-numeric characters (A-Z and 0-9); special characters--including common punctuation marks--are not allowed. Please select a different website address. Please select a URL for your site. is not available. Please try again. The email address you selected is already taken. Please select a different email address and try again. The 'Confirm Password' you entered does not match your original password. Please double check your entry and try again. The 'Confirm Email' you entered does not match your original Email. Please double check your entry and try again. Please review that your information is accuracy and resubmit. If this error persists, please contact support. TIP: Please review the form, double checking everything, and try again. 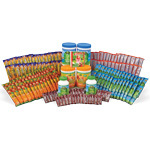 Are You already a Youngevity Member? 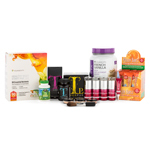 The CEO Combo Mega Pak™ includes a Welcome Kit, (1) Healthy Body Start Pak™ 2.0, Healthy Body Digestion Pak™ 2.0, Ultimate™ Selenium, Slender FX™ Sweet EZE™, Ultimate™ EFA™ 180, Rebound fx™ Citrus Punch Canister, KidSprinklz™ Watermelon Mist - Multi-Vitamin Powder, Ultimate™ Gluco-Gel™ 240 Capsules and an assortment of GOFoods™ products. Start building your business with the fashion forward and trend-setting brand of Anthology DIY by Lisa Bearnson! 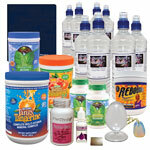 Purchase this fantastic starter kit and have everything you need to start holding Anthology DIY socials! Are you ready to start building your business with the exciting digital brand of Heritage Makers? Start your business off right with the Heritage Makers Social Selling Starter Kit! Please note there is a $12 handling fee plus regular shipping fees on this item. 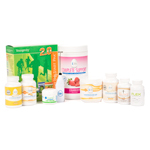 Discover your infinite worth by starting your own Mialisia business! The CEO Mega Pak™ is our largest selection of gorgeous premium jewelry, and it’s a showstopper! Your customers and Hosts will love these chic pieces, which can be personalized in endless ways. An autoship for the Mialisia Infinite Worth Club will occur monthly ($50) 50BV, 50QV. 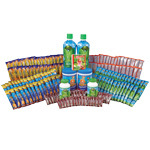 Contents include 3 boxes of SanoVita (3000 ml per box). Each box contains 3, 1000 ml SanoVita bottles. Plus one extra 1000mL bottle. 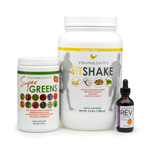 Give your body the nutrients it needs to support weight loss and share the Youngevity products with others with this Social Kit. 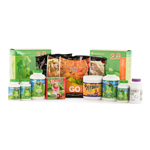 Start your business with this Youngevity Social Intro Pak that includes a few of Youngevity’s top products. 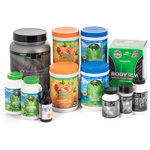 Use the products to introduce your customers to Youngevity’s amazing products! 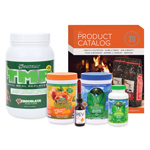 The Future Global Vision CEO Mega Pak™ includes an assortment of best-selling Youngevity and Future Global Vision products, to support your health and business. 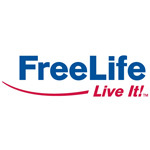 Earn commissions and bonuses. 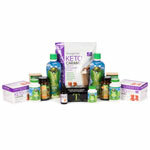 Get wholesale prices and save 30% off purchases. 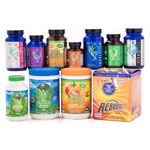 Participate in the exclusive Youngevity social network. Online order management through the Back Office. Signup as Business Please provide the following information. This number is needed for tax purposes. All Associates are eligible to earn commissions and the company requires your Social Security Number to report earnings to the IRS. NO CREDIT CHECK will be performed. Your Social Security Number is transferred through a safe, secure and encrypted system. All you have to do is come up with a catchy name. We suggest using your own. * Enter Desired Username: Check availability TIP: Your username also determines your marketing website address. 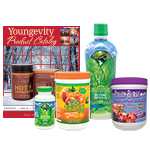 You may not use the word "Youngevity" in your username. Usernames cannot contain spaces or special characters and must be at least three characters long. By submitting you understand and agree to the terms and conditions as outlined here. 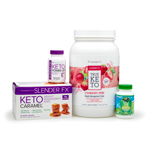 Thanks for choosing Youngevity. Please check your order before submitting. Processing Information . . . Thank you for your patience as we process your order. Please do not click the back button, as doing so will interrupt your order. WARNING: The following product(s) in your cart can expose you to chemicals including __chemical__, which is known to the State of California to cause cancer and/or birth defects or other reproductive harm: __items__.